Tiny fossilized sea creatures - who would guess? Diatomaceous earth is the fossilized remains of tiny diatoms or sea creatures which lived eons ago. There are deposits of diatomaceous earth that are mined in the same way as other minerals. The uses of diatomaceous earth are many and varied. It is used as a weevil killing agent in stored grain, and amazingly it’s harmless to humans and other animals. It kills insects by scratching their outer coat and they dehydrate and die. It can be used to kill parasites, both internal and external ones. It’s safe to give to pets; a teaspoon with their food for a few weeks will kill intestinal worms. Tests done at zoos were a complete success with bears and other animals - their coats improved, the runny eyes and internal parasites were gone after only a few weeks of the addition of diatomaceous earth. Some of its other uses are as an addition to a dust bath for backyard chickens, to kill external parasites – add some to wood ashes and sandy soil in a shallow box or pan for chickens to bathe in. It's used in organic pest control as a mechanical pesticide to dust on plants with pests such as aphids. It actually has no chemical properties, simply acting as a desiccant to the insects that you want to kill. 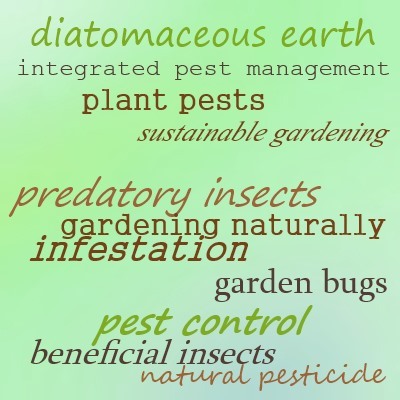 Keep in mind that it will also harm beneficial insects that might be preying on the pests. It's also used to filter water for drinking, as well as in swimming pools. It’s considered so benign that it doesn’t require a warning when using; however as it’s a fine powder it’s recommended that you use a dust mask to prevent breathing it in, and gloves as it can dry out your hands. 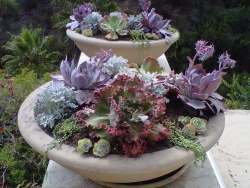 Find out how to grow your favorite plants.